The material is "Tuff-Stuff" with 6mm ether foam padding and a brushed nylon lining. 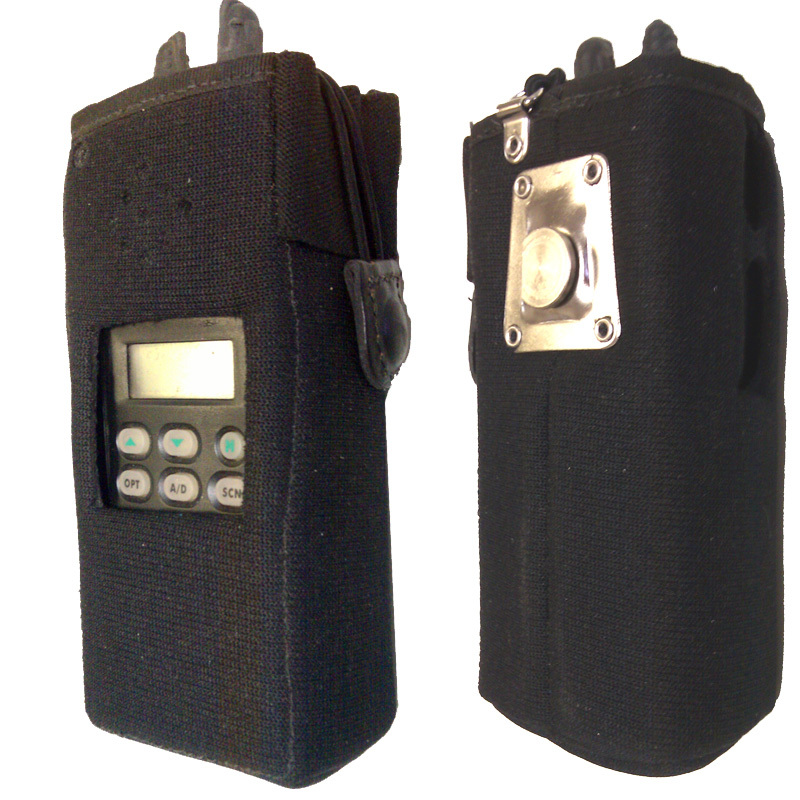 This case is built for extra heavy duty applications like law enforcement, railway or refinery use and combines light weight with foam padding for protection. The standard belt attachment is a fixed belt loop with "pull-the-dot" locking snaps.